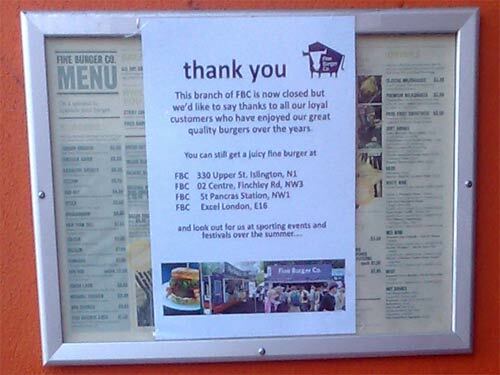 It looks like the credit crunch is beginning to bite around Muswell Hill, and this week we lost our branch of the Fine Burger Company. That didn't deter The Independent's distribution team, however. 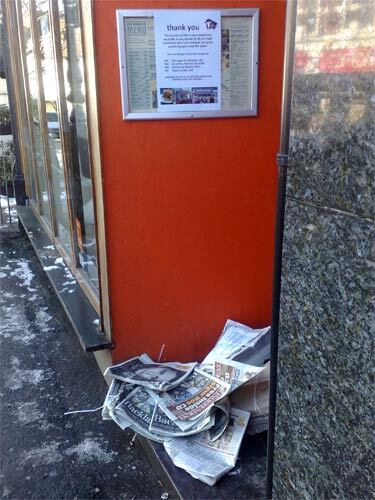 This week, despite the country grinding to a halt under the weight of the snow, the newspapers have continued to get through to the branch. I suppose it is one way of keeping the bulk distribution numbers up for those all important ABCs. I can't help feeling, though, that the fact that you can pick the paper up for free off FBC's doorstep might be hampering Indy sales in the newsagent 3 doors down. By Martin Belam on 8 February 2009.
practically (not that I AM PLANNING to). 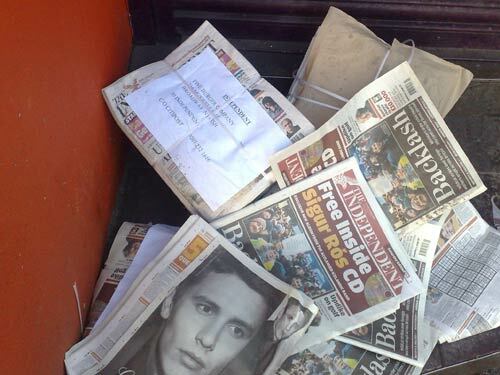 would the act of 'picking up' the newspaper left on doorsteps be consider as theft or public service? how 'dead' would the company need to be before it is considered as latter? True post...might seem funny or sad...but this is happening all over the world in the crisis! All the snow is certainly not going to help things here in the UK. I read in the paper (express n star) that we now have the worst economy in the world? ?